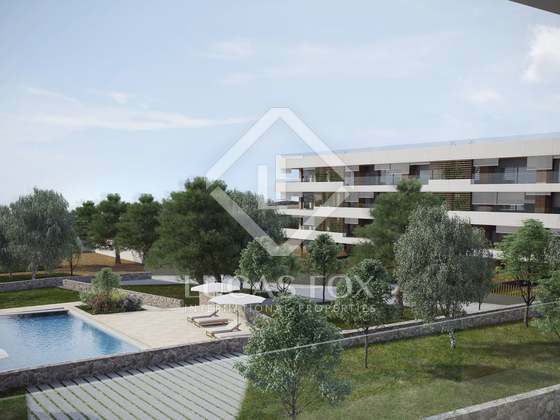 This property is part of the Cala S'Alguer Apartaments. A superb new seafront development in Cala S’Alguer, Palamós, comprising 48 exquisite apartments of 2 and 3 bedrooms – including penthouse properties with roof terraces and ground floor units with private gardens. Exclusively with Lucas Fox. 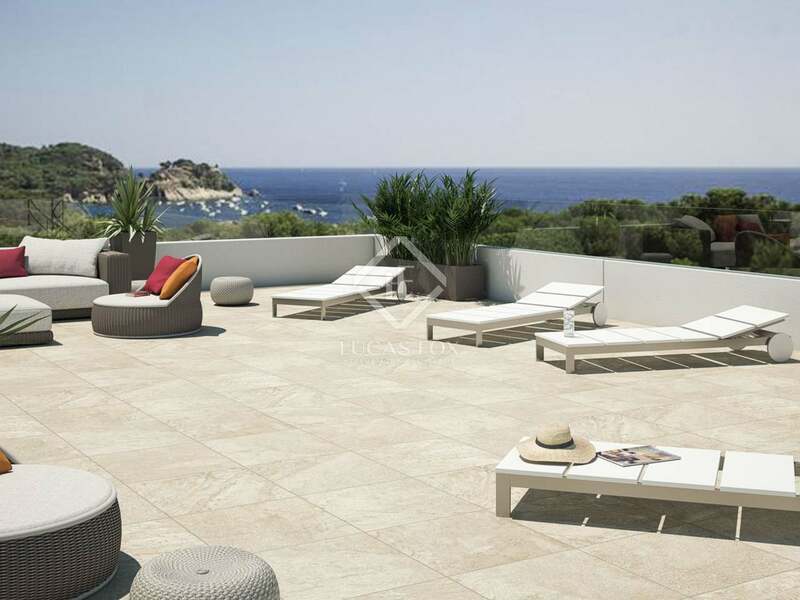 Cala S'Alguer Apartaments is situated on a privileged seafront plot just 200m from the sea. The development borders the Castell Cap Roig natural park – a vast 1100ha area of beautiful protected woodland and 7km of virgin coastline. 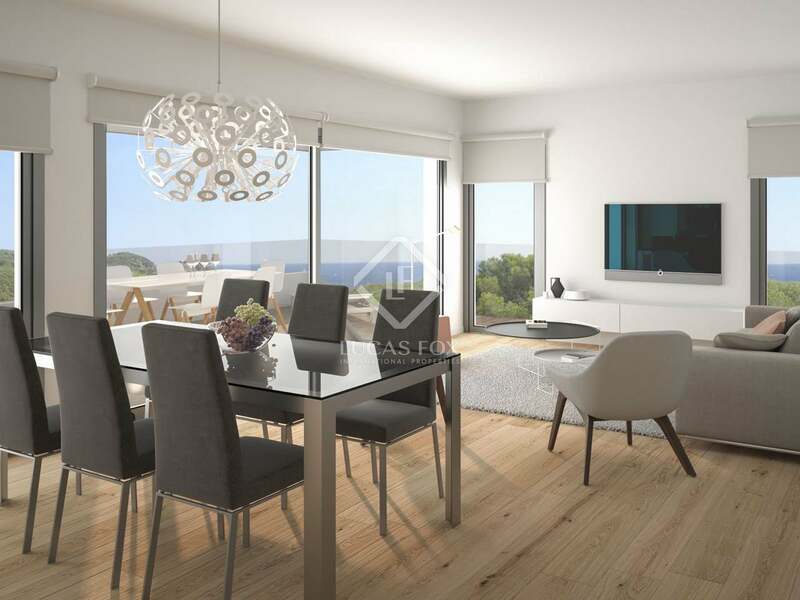 The development is an exquisite blend of elegant architecture and sophisticated living only a 5-minute drive from the vibrant town of Palamós with its marina, fishing port, shops and restaurants. This 87 m² apartment boasts a spacious living/dining area measuring 33m² with wooden laminate flooring and an open-plan, modern kitchen (sold fully equipped with oven, microwave, fridge freezer and dishwasher). The living area – which enjoys a south orientation - offers direct access to a spacious covered terrace of 22 m² overlooking the communal area with its landscaped Mediterranean gardens and swimming pools. The apartment also boasts two bedrooms; an en-suite master bedroom of 18 m² with walk-in shower and a further double bedroom measuring 11 m². Both bedrooms have ample fitted wardrobe space and each one has access to a 5 m² shared rear terrace. Completing the apartment is a separate guest bathroom of 3,9 m² with a 160 x 80 contemporary design bathtub. The apartment is equipped with hot and cold air-conditioning. The apartment has access to a private parking space and storage room (not included in the advertised price) at lower ground floor level, accessed via elevator from the entrance hallway. The apartment is on the first floor of a four-storey building (Ground Floor + 3) comprising a total of twenty-four 2 and 3 bedroom units. 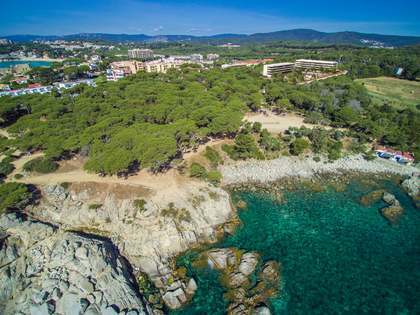 Cala S'Alguer Apartaments is situated in one of the most stunning locations on the Costa Brava, just a few minutes' drive from the seaside town of Palamós and 200 metres from the water's edge. The development borders 1100 hectares of protected forest land and is within a few minutes' walk of the lovely beach of La Fosca. 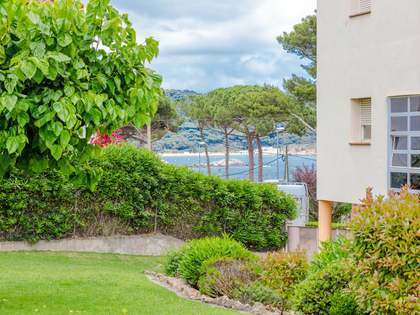 The development is just a 5-minute drive from the seaside town of Palamós with its marinas, shops, bars, restaurants, fishing port and highly rated hospital. 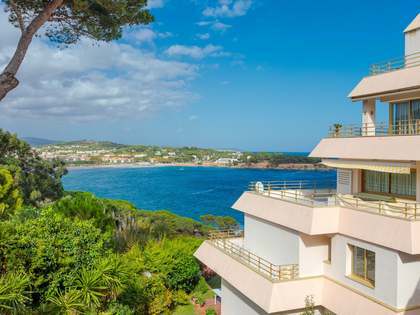 The spectacular, wild sandy beach of Platja Castell is a 15-minute walk away along the magical coastal path (Camí de Ronda) and the picturesque seaside fishermen's community of Cala S'Alguer is only minutes from the property. 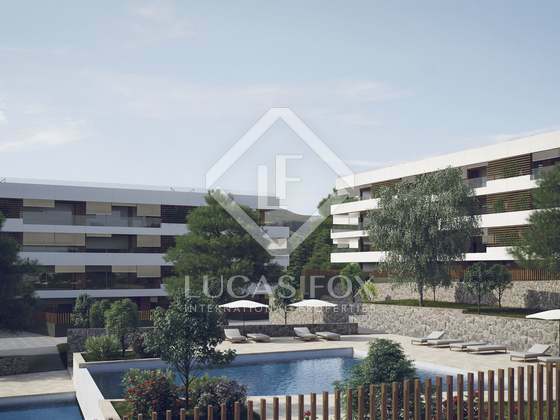 The development is easily accessible by motorway and located just 116 kilometres from Barcelona city, 43 kilometres from Girona airport and 88 kilometres from the French border.